Here foloweth a notable treatyse and full necessary to an crysten men for to knowe and it is named the Ordynarye of crystyanyte or of crysten men. 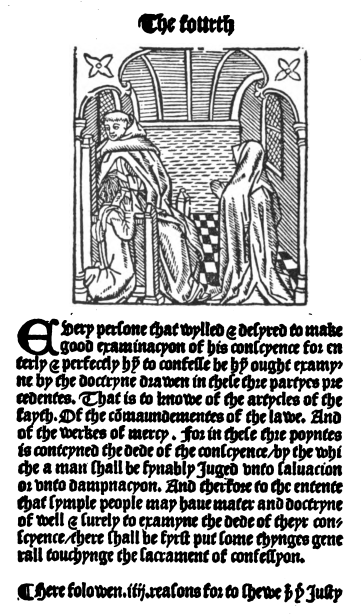 London: printed by Wynkyn de Worde, 1502. Provenance: William Herbert. — Sir Francis Freeling. — Thomas Hand. — Henry Kock. — Joseph Gulston. — Morris. — Richard Bennett. — J. Pierpont Morgan. — Morgan Library (W 16 A). References: Ellis valuation, fol. 51b (£25). — ESTC (S109058). — Morgan Catalogue 3, no. 740.